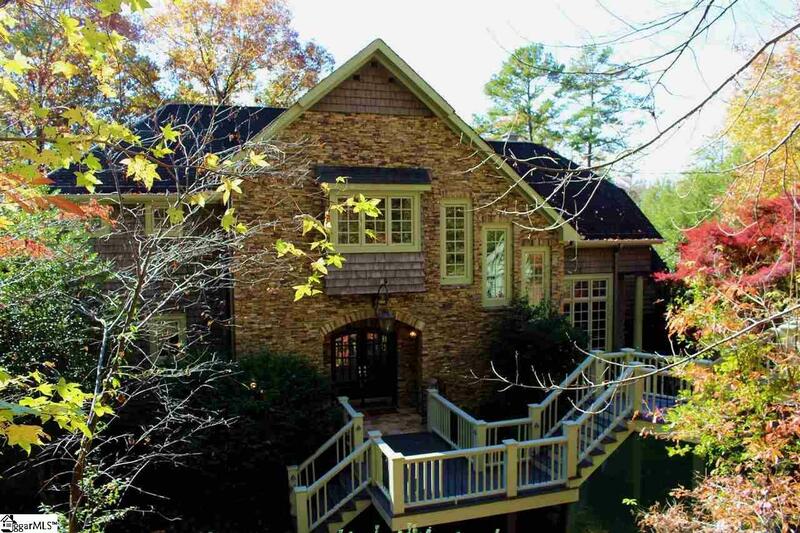 Cedar Creek on Lake Keowee! Magnificent home with a custom gated entrance that welcomes you to three combined lots totaling 1.81 acres creating tremendous privacy and beauty. Expert stone masons spent 8 months lovingly creating the rock work that surrounds the home. Four Bedrooms / 3 Full Baths and 1 Half Bath. There is 3000 sq Ft of Brazilian Cherry flooring, a mahogany library with gas fireplace, elevator, and vaulted ceilings. 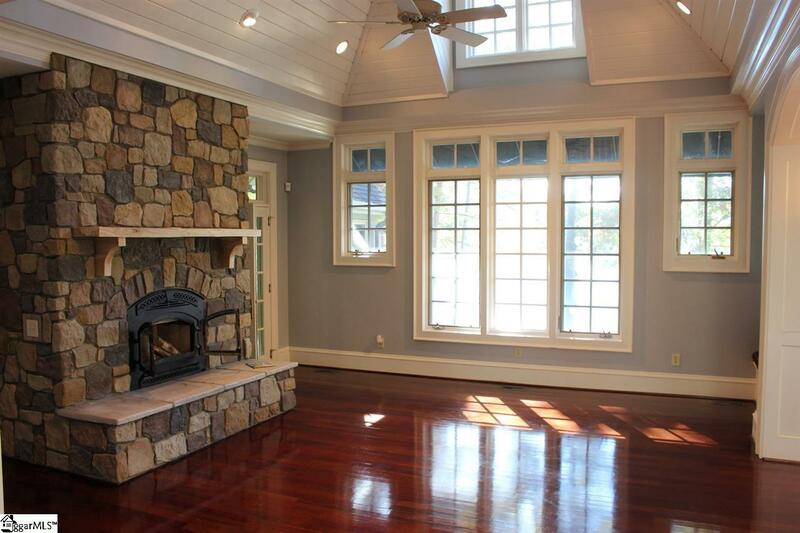 The living room has a stone, wood burning fireplace & beautiful lake views. The kitchen is custom with granite counter tops, two ovens and a large pantry with a formal dining room adjacent. The sun room has multiple entries, from living room, master bedroom, and study. The master bedroom & bath have granite topped dual sinks & vanity, separate jetted tub, multi-headed body shower, and over-sized walk-in closet w/ custom shelving for ample storage. Second level has 2 additional guest rooms with jack and jill bath and large walk-in storage area. The walk-out basement houses a large living area with glass doors leading to the patio and another large bathroom with full bath. The home also features geo-thermal heating and cooling system, and spacious laundry room. The climate controlled over-sized garage has large workshop area with 3 storage closets for all of your needs. Its easy to get down to the water by either taking the top of the line stone steps (youve got to see these steps!) or following the concrete and gravel drive to the dock (perfect for a golf cart or gator). Over 400 feet of rocked shoreline with plenty of spots to access the water including steps into the water, a full-sized covered dock with boat lift and jet ski lifts, and spots where you could set up a gentle entry for kayaks or canoes as well. Lots of parking for all of your guests. There is also a concrete drive on the other point of the property making it easy to access that area as well. You could certainly make that portion of the property into a family entertainment spot by adding horse shoe pits, badminton court, fire pit or whatever you can dream. Minutes from Clemson and Seneca for shopping, dining and medical facilities. 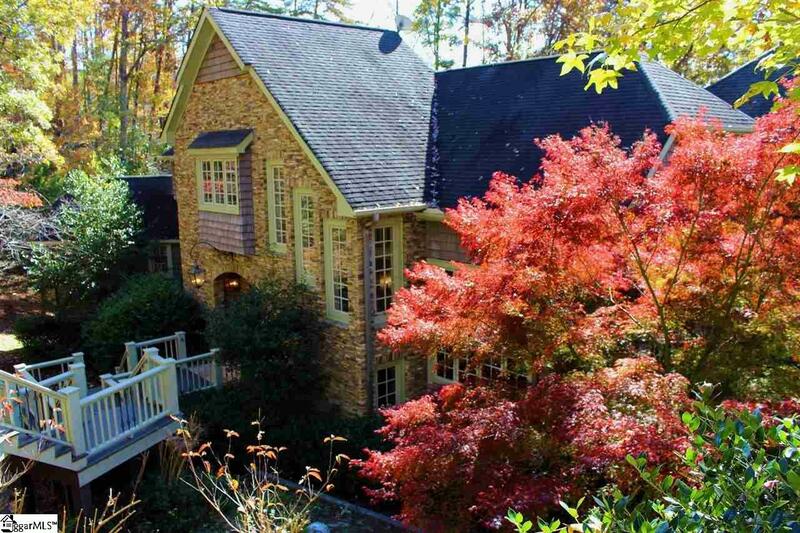 90 minutes from I-85 access to Greenville and Atlanta.